In a 2014 study of CEOs and CMOs, IBM found 63% wanted social strategies which generate business metrics. This means strategies which not only grow your company’s social footprint but link to your sales & marketing systems. With this critical linkage, your social and mobile strategies will provide you with the ability to engage consumers at a 1-to-1 level and measure your social investments in terms of costs, revenues, profits and ROI. With the right type of digital marketing strategy, your organization can transform social marketing from an untracked investment to make it an integral part of your company’s marketing strategy. Select the best strategy to help you achieve your goals. 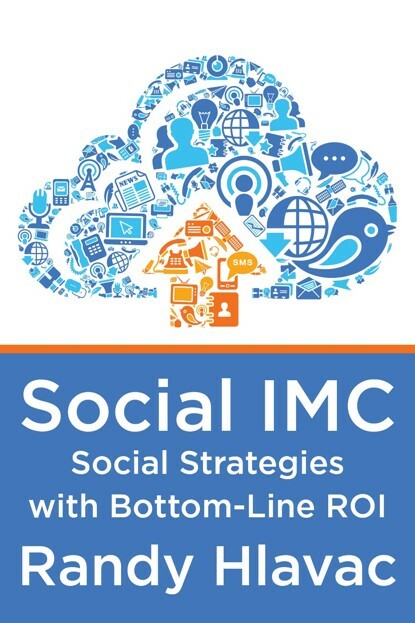 The Social IMC book gives you the strategies, tools and methodologies you need to manage your social investments based on the value, potential, and likely return on investment you will receive from each of your target markets. It transforms social marketing from an “Invest & Hope” strategy into one that makes social and mobile an integrated part of your business strategy. This digital marketing book has been in development for over eight years. During that time, the author identified companies who were able to use social and mobile marketing in a way which produced measurable bottom-line results. From his work, he identified three business strategies. Each strategy develops a unique relationship with social and mobile visitors – from an anonymous relationship to a database-drive one-to-one relationship with total business metrics. With this knowledge, your organization will be able to select the best strategy for every market segment you want to develop. After explaining each marketing strategy, you examine current examples of the strategy “at work” throughout the world. Each example shows you how companies develop, deploy and measure their social marketing programs. By examining real-world examples of each social strategy, you will be better able to see the social impact each strategy will provide your company. Build Customers Not Followers in 2015! Your markets are on social & you need to be there. However, your social strategy needs to be based on the business metrics which define your success. Social IMC will give you the methodologies, tools, and insights you need to make social and mobile technologies integral parts of your business strategy. Whether your company has a sophisticated Engagement Strategy or you are a new start-up, learn how to harness the power of social marketing to grow provable market share and build stronger relationships with your high value markets. 2015 is the year you need to integrate your social and mobile marketing strategies into your business strategy. Click on shopping cart or here to start building a profitable, measurable social strategy today. 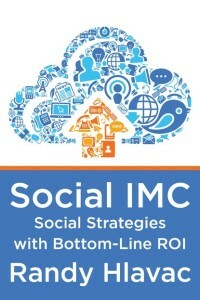 Social IMC is offered in print and electronic versions.